Mekong River has left deep impression on a lot of tourists for people’s friendliness and beautiful but peaceful places along the river. However, tourists who do not have much time to discover and travel all of the places might be struggling to decide what place to visit. Then, you can take a look at the list of 3 places that we recommend when traveling along Mekong River. Luang Prabang, the first capital of Laos is located in the North of this country. The town of Luang Prabang is built on a peninsula which was formed by Mekong and Namkhan River. 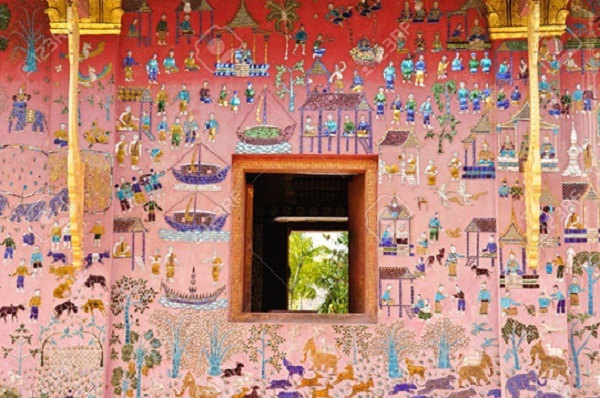 The old city in Luang Prabang was honored as the world heritage site by UNESCO. Siem Reap is a city belonging to Siem Reap province in Northwestern Cambodia. Siem Reap is a familiar destination with tourists from all over the world due to the Angkor region where Angkor Wat, one of the world’s seven wonders is located. Ho Chi Minh City or Sai Gon, also a city on the bank of Mekong River, is the biggest center of population, economy, education and culture in Southern Vietnam. Ho Chi Minh is well-known with the name “Young City” for its 300-year history. This city’s highlights can be seen in people’s active lifestyle, modern buildings or glowing nights. However, there is still the old things which make you feel and enjoy Sai Gon in a different way from any other Vietnamese cities. Ben Thanh market, a symbol of Sai Gon, is not only a trade center but also a historical place which witnesses the development of the city in more than one hundred years. 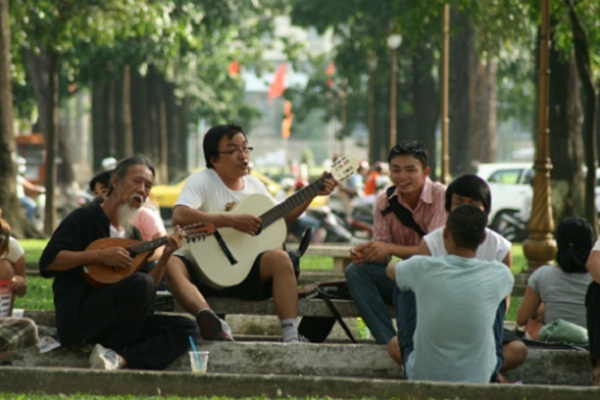 Another unique way of enjoying life in Sai Gon is “ca phe bet” which means sitting on the street banks and enjoying coffee, lemon juice or street food. There are a lot of people have “ca phe bet” every day. They talk and share with their friends about their daily life, see and feel the pace of the city in day and night and enjoy pieces of music played by wanderers. Tourist should try “ca phe bet” at least one time to feel a simple, comfortable but peaceful Sai Gon. There are many other beautiful places in Sai Gon which are strongly recommended by tourists all over the world such as Bitexco Finicial Tower, Starlight Bridge, Sai Gon Central Post Office, etc. These 3 recommended places are just a few of many beautiful places along Mekong River. These cities/ towns all presents the different lifestyle and culture of each country. Come and visit them, you will be totally satisfied.